Join us to reflect on the culture of Remembrance as we mark the centenary of the Armistice. Connect, create and commemorate in this evening of discussion, music, poetry and crafts. As the First World War centenary period draws to a close, the National Army Museum's Remembrance Late looks at the variety of ways we remember the conflict. Join our panel discussion: 'Are we getting Remembrance right?' 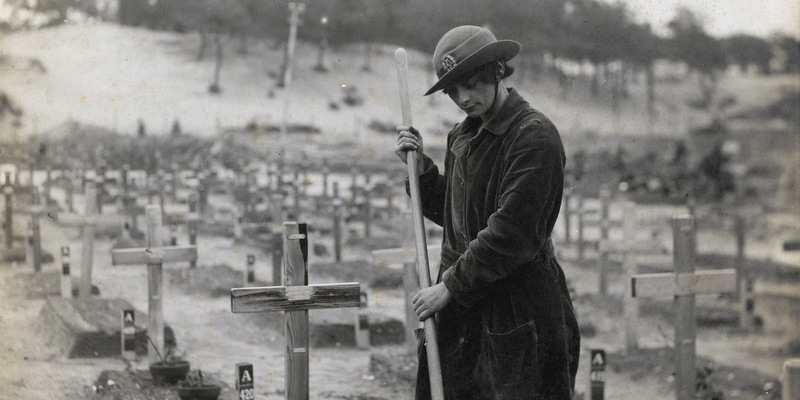 Organised in partnership with the Commonwealth War Graves Commission (CWGC), the discussion will focus on cultural expressions of Remembrance in architecture, art and literature. Speakers include Dan Cruickshank (architect and TV presenter), Emma Chambers (Tate) and Dr Santanu Das (King’s College London). Connect with lives and stories from the First World War through participatory object-handling sessions, a new self-guided gallery tour and by voting for objects from our #CentenaryCollection project. Get creative with live poetry performances and workshops led by our poets-in-residence. The Band of the Scots Guards will be marking our Centenary Remembrance Event with a performance. Hosted by poets-in-residence Lieutenant Colonel Jo Young and Isabel Palmer, with readings by the Chelsea Pensioners, get involved and share your own poem in our open-mic session. Discover the stories behind our First World War objects with a new gallery trail, vote for an object from our #CentenaryCollection, and see our new display of cap badges from the First World War. Step back in time with a First World War soldier to discover more about the items in our handling collection. Get creative and design your own Remembrance brooch to take home. Ian Maine, Head of Collections, talks about Artillery in the First World War by the Howitzer gun in the Foyer. Dr Glyn Prysor, Chief Historian at the CWGC, will chair. Speakers include Dan Cruickshank (architect and TV presenter), Emma Chambers (Tate) and Dr Santanu Das (King’s College London). Virginia Crompton, CEO of the Big Ideas Company, talks about their Remembrance Project in partnership with the National Army Museum and presents a wreath to the Museum's collection. The Band of the Scots Guards will close the event. Our panel discussion is organised in partnership with the Commonwealth War Graves Commission. In 2018, The Royal British Legion is leading the nation in saying thank you to the First World War generation who served, sacrificed and changed our world.